A light, fast and smart scan tool, the Snap-On VERUS PRO D10 is the perfect companion for any professional auto mechanic. With the ability to start, scan and display results in seconds, this device exhibits the power you need in a garage. If you are a professional auto technician or if you own/operate an auto service shop you need to seriously consider getting the Snap-On VERUS PRO D10. But the amazing functionality doesn’t compromise its design. It features a slim and sleek body that resembles an elegant tablet. There’s no question the Snap-On VERUS PRO D10 is a powerful and fully-fledged scan tool for professionals. But how does it compare to other similar scan tools? I decided to put it on a scale together with the Autel Maxisys MS906BT and the Autel Maxisys Elite to see which one wins. Bottom Line Snap-On D10 Verus Pro is definitely built for professional mechanics only. Autel MS906BT offers high level of diagnosis and functions that are for professional mechanics. Aute Maxisys Elite is an excellent pick for professional mechanics and shop owners. Snap-On VERUS PRO D10 supports all OBD (1 & 2) protocols, including the 10 test modes of OBD2. More specifically, this VERUS scan tool can read and erase codes, provide live data and cover functional tests for onboard systems such as emissions. Now, these are the features that separate ordinary code readers from professional scan tools. In this case, the VERUS PRO supports oil service reset, ABS light reset, EPB service, heating/air conditioning, relearns and adaptations. All those tests are impressively comprehensive. The best and most convenient part is that you can do them all with just one touch. That’s all it takes for the VERUS PRO to check and clear codes for all available modules. 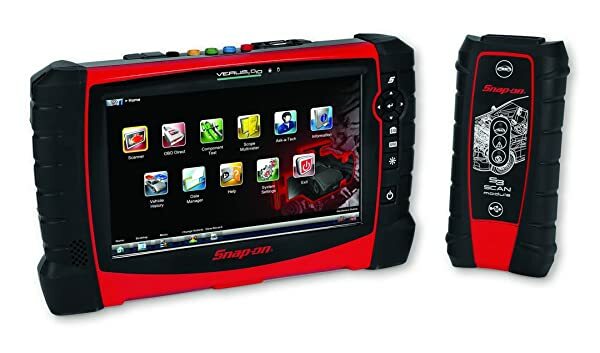 Besides codes and running tests, the Snap-On VERUS PRO D10 can also retrieve a vehicle’s information (VIN). The VIN is the car’s unique identity, something like a fingerprint in humans. Once it has stored the VIN, you will only need to select the car once and the scanner will run all diagnostic functions. Here you have two options for connecting the Snap-On VERUS PRO D10 to a car. First, you can use the normal adapter and secondly you can opt for a wireless connection that uses Bluetooth to connect the device to a car’s system. The latter allows you high mobility; you can walk around the service bay without the limitation of a cable. Additionally, this scanner features a Wi-Fi module for internet connectivity. 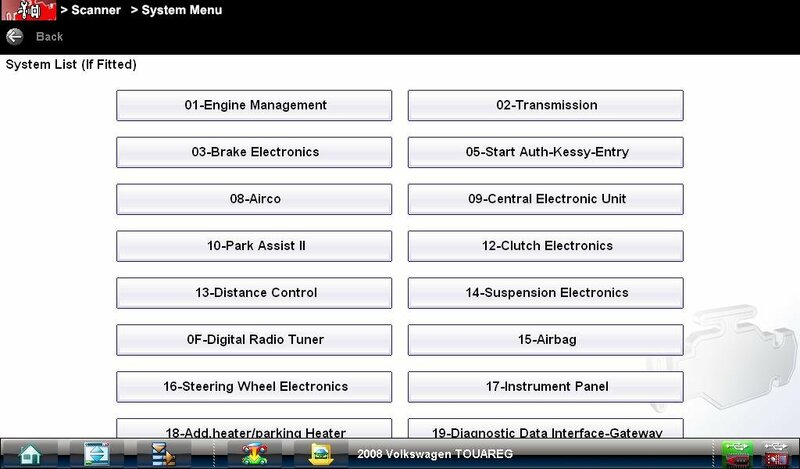 This gives you access to tons of web resources where you can get diagnostic and repair tips and guides. With a thin-profile, tablet-like body, the Snap-On VERUS PRO D10 is one of the sleekest scan tools out there. It’s made even better by the 10-inch touchscreen HD display that features a 1024 x 600 resolution. The Snap-On VERUS PRO D10 is one of the sleekest scan tools. Finding your way around the menus shouldn’t be hard. The scanner instantly shows the exact systems and protocols that are available once a car is connected. The user-programmable keys allow you to create shortcuts for functions that you use frequently. You can take diagnostic photos with ease thanks to the built-in camera. The images should come in handy when you need to do further analysis. 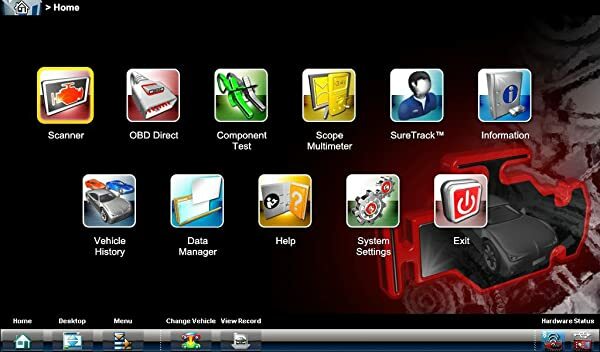 The Snap-On VERUS PRO D10 runs on a genuine Windows Operating System (OS). Its multitasking capability makes the scanner very fast. It only takes 30 seconds to boot and load all the applications. Additionally, Snap-On uses software 17.4 on this device. Apart from supporting tons of applications (including a web browser), this software also gives it the ability to cover more vehicles. You can test Chrysler’s engine and body, program Ford’s key, run ABS tests in Kia, Mazda & Subaru among many other functions on various car models. 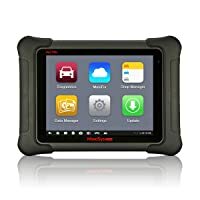 Perhaps , more importantly, to a professional mechanic is the fact that the OS and software support Snap-On’s SureTrack and Fast-Track service. This is an online platform that grants you access to millions of diagnostic tips and verified replacement parts. The Snap-On VERUS PRO D10 comes as a complete kit that includes the scan tool, alligator clips, coil adapter lead, test leads, test probes. This kit also includes induction RPM pick up the adapter, secondary ignition clip-on wire adapter, and low amp current probe. As mentioned already, if you are dealing with European-made cars you may need to purchase a connector kit for them. It doesn’t come with the default package. To start with, the Snap-On VERUS PRO D10 is fully compatible with OBD1 and OBD2 protocols. You can use it for OEM-specific diagnosis of cars that were manufactured as far back as 1980. In total, this scan tool covers over 40 different makes that include US, EU, and Asian vehicles. That said, it’s worth noting that you will need to buy a connector kit for European vehicles separately. Comes with SureTrack and Fast-Track which provide access to millions of guides and tips on diagnostics and repairs. Built-in data manager makes it easy to organize vehicle and customer information. Rugged and eye-catchy construction that resembles an ordinary tablet. Wireless connectivity to car systems allows for very high mobility as you work. Currently, it retails at well over 6,000 USD. That pretty high. However, the features and benefits that it brings to the table are unmatched and might as well be worth the price. Judging by its features, you can tell that the Snap-On VERUS PRO D10 is designed for professionals. Its wide vehicle coverage and full-function capabilities are more than an ordinary car owner needs. But for a professional technician, it has everything you need to successfully manage an auto service shop. 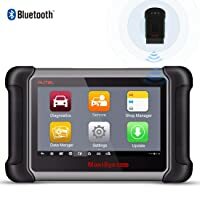 You can diagnose OBD1 and OBD2 systems, work with total mobility, connect to the internet, browse for tips and verified replacement parts, retrieve a car’s VIN and so much more. It also allows you to organize vehicle and customer information with ease. So while the price might be on the higher side, the device is a worthy addition to any auto shop. My final thoughts? Well, if you are a professional auto technician or if you own/operate an auto service shop you need to seriously consider getting the Snap-On VERUS PRO D10. This scan tool is the real deal, no matter how you look at it. It is super-fast, features wide compatibility and coverage and also supports handy modules like Wi-Fi. When you’re stuck you simply go online and get a solution. Scan tools really don’t come better than this! 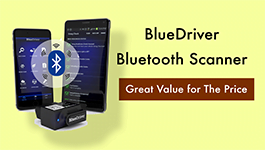 OBDLink LX Bluetooth adapter, an innovative and advanced Bluetooth OBD2 automotive diagnostic tool will be the best choice of car diagnostic tool for you.